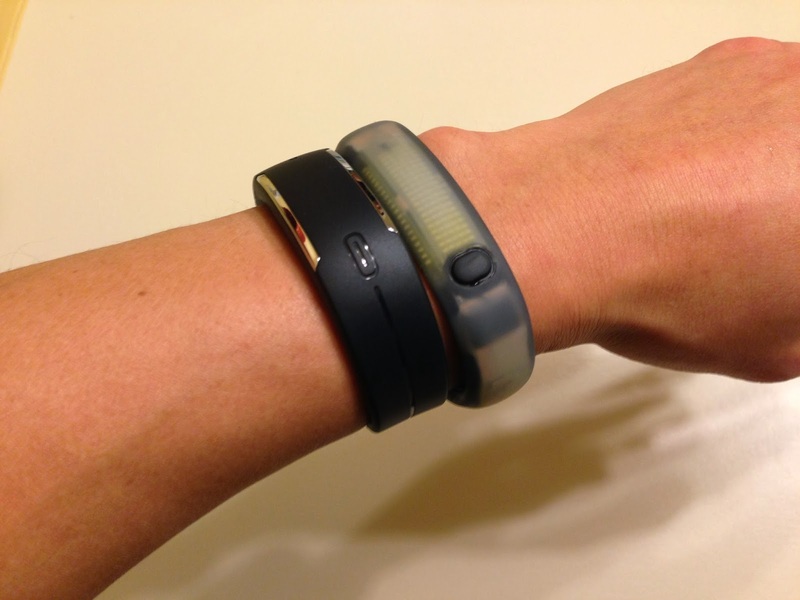 These days, stories are buzzing about "wearables" because of the hype generated at CES in Las Vegas. We're seeing LG, Sony, Epson, Garmin, and a host of other companies launching their wearable activity trackers. Don't want to wait for the latest and greatest? I've been testing multiple wearable activity trackers for the past few weeks/months and here I'll be writing about the Polar Loop which retails for $109.95. 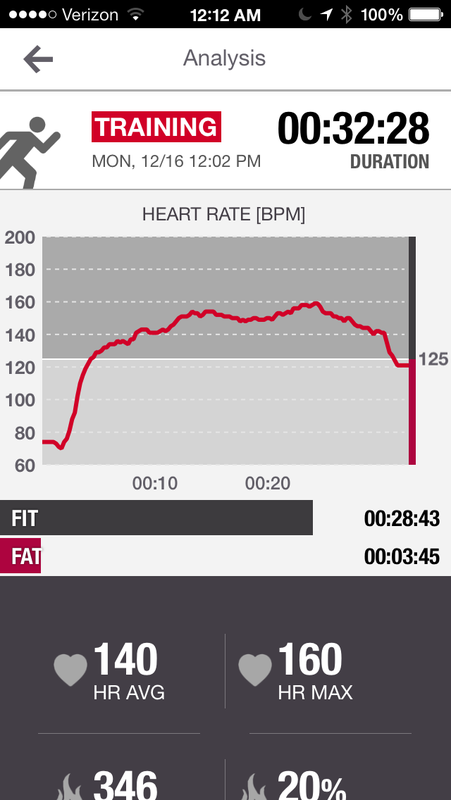 I've owned Polar heart rate monitors for well over a decade. Polar is a global, established brand among fitness enthusiasts, runner, triathaletes, and cyclists. At CES this year, Polar announced the V800, a GPS Bluetooth smartwatch that syncs with other Polar peripherals that use Bluetooth Smart. I can't wait to try it out later this year when it comes out in April. It connects with Bluetooth heart rate monitoring chest straps like the Polar H6 or H7 and tracks/stores and displays your heart rate information on the device. This is especially useful when you're exercising. But, keep in mind that Bluetooth signals don't travel under water, so you can't wear a Polar H6 or H7 and monitor your heart rate while swimming if you're using the Polar Loop. 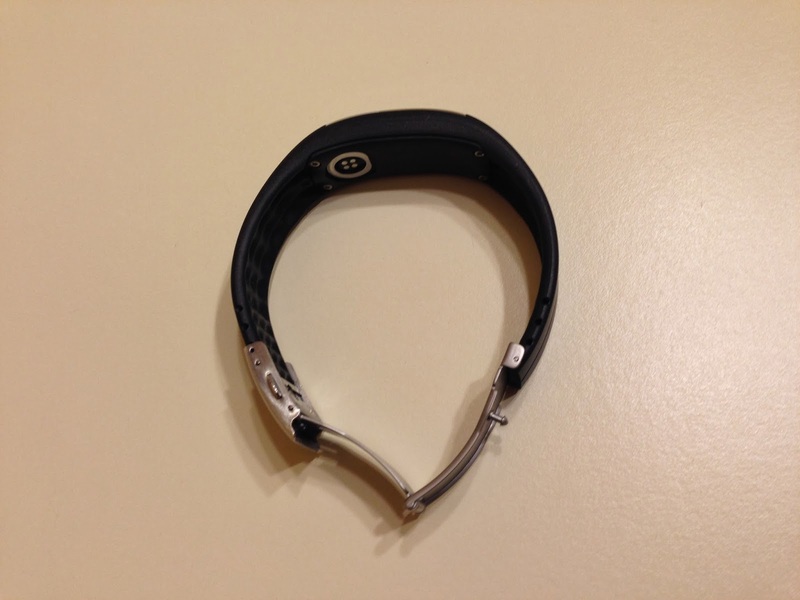 The Polar Loop is also different from most fitness trackers because you have to cut the elastomer band to size it and fit it to your wrist. 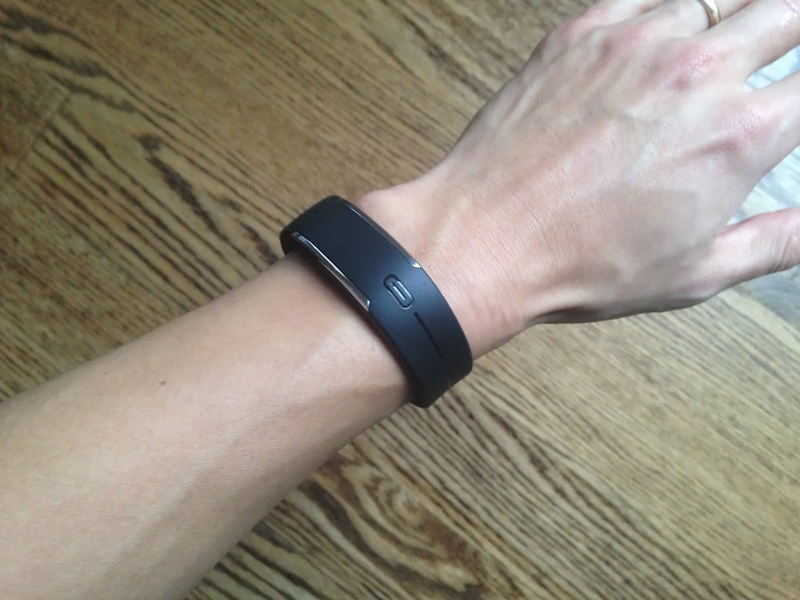 Since the holes are 5 mm apart, you can adjust the band in 5 mm increments. 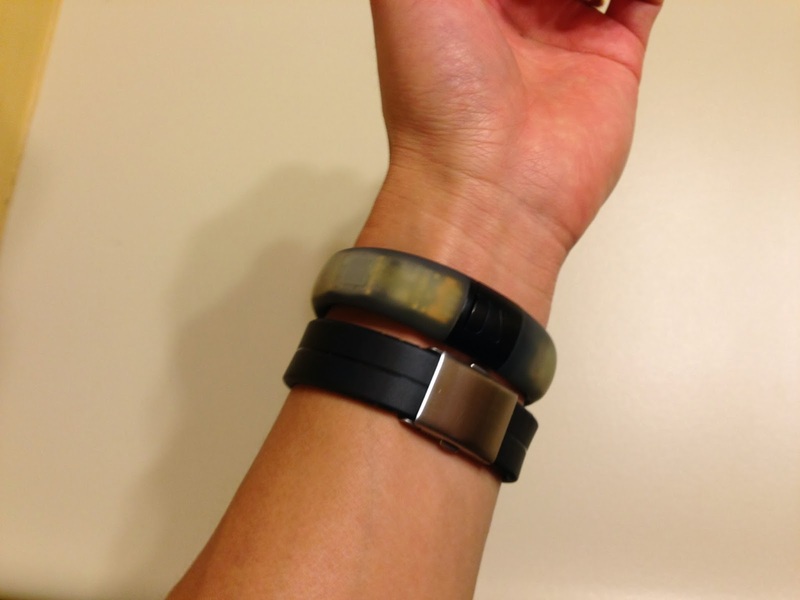 Once you adjust the size by cutting the band, you're not going back to a bigger size. With a stainless steel buckle clasp, the Loop wears more like a very light sports wristwatch than a rigid wristband. Since the flat button is capacitive, you only have to touch it lightly for it to work. However, it won't work if you're wearing non-conductive gloves. 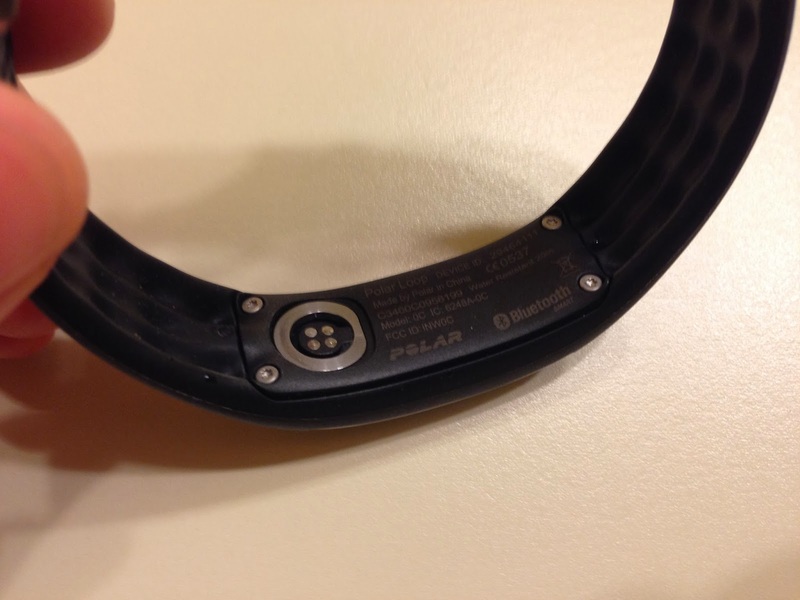 Also, the button only works if the charging connector of the underside of the band is in contact with your wrist. People who don't realize this may get frustrated if they press the button and don't see anything happening on the display. The charging connector requires a proprietary cable which attaches magnetically and it charges and syncs using a standard USB port. Once you sync the data on your Polar Loop to the Polar Flow mobile app on your iPhone, you can also view the data on the web and see the global community of Polar Flow users. 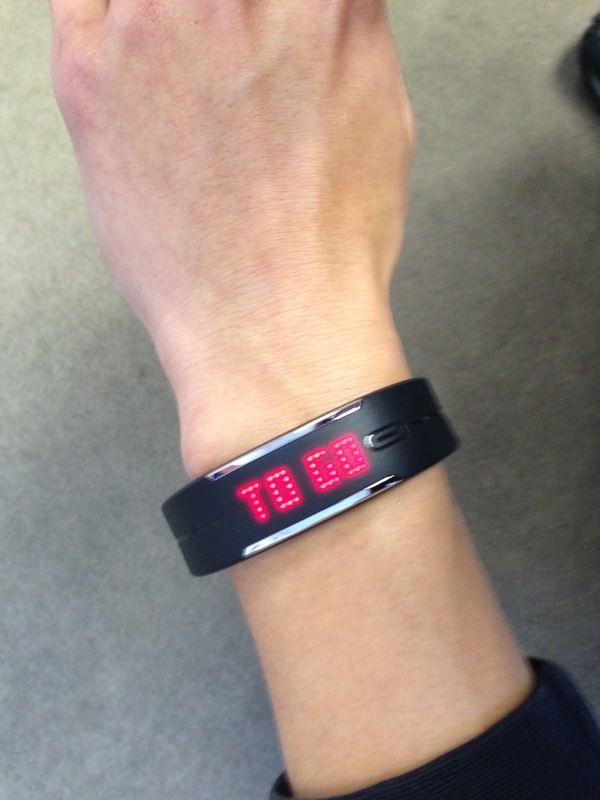 Right now, if you already own a Polar heart rate monitor, you may be using Polar WebSync to upload all your training files to your Polar profile on www.polarpersonaltrainer.com. Polar Flow is a separate site (as of now) and so your training files on Polar Flow will not appear on www.polarpersonaltrainer.com and vice versa. I would't be surprised if Polar will eventually migrate www.polarpersonaltrainer.com into Polar Flow, but we'll have to wait and see if that happens. 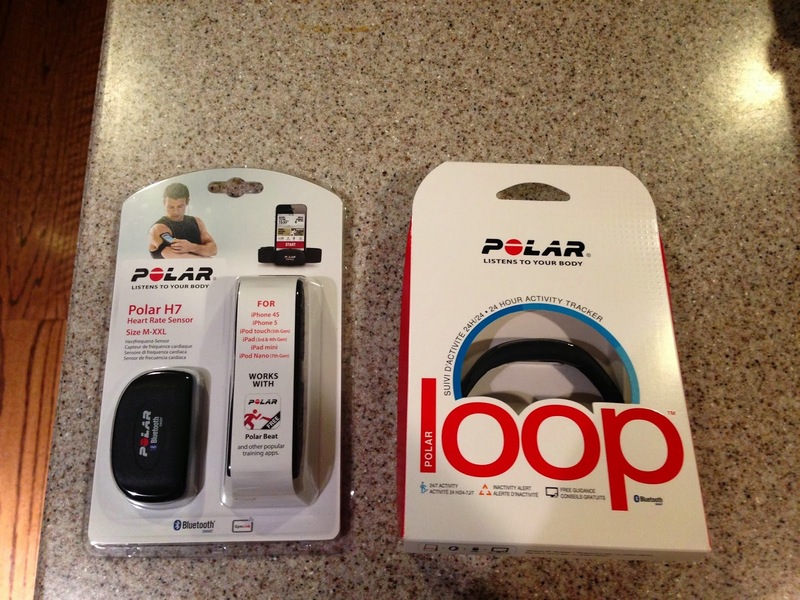 The Polar Loop syncs with your iPhone using Bluetooth 4.0, so it continually syncs in the background. I found that sometimes I had to tap on the Loop button to get the Loop to sync with my iPhone. Polar rates the battery life as "up to 6 days" but I suspect that you can expect shorter battery life if you're constantly syncing your Loop with your iPhone over Bluetooth. Here's a tip: you can save battery life on your Loop and your iPhone by "closing" the mobile app on your iPhone (you can close an app on iOS 7 by double pressing your home button and then swiping the app up so that it's no longer running in the background). 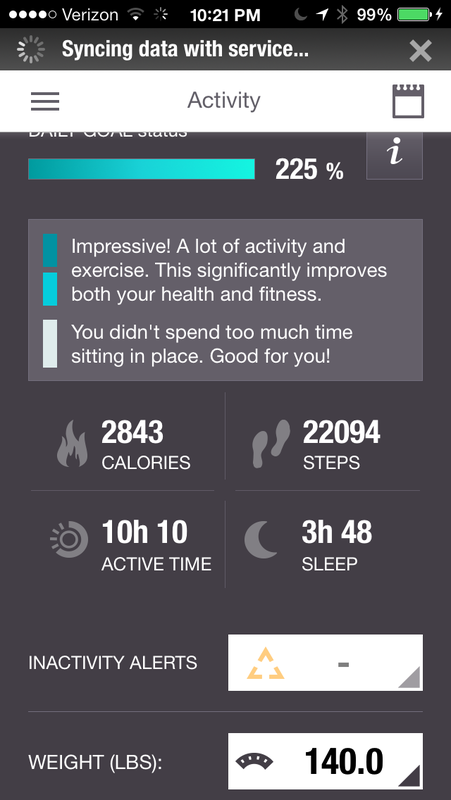 Scroll down and you'll see how many calories you've burned and how many steps you've taken that day. You'll see that I reached 22,094 steps! 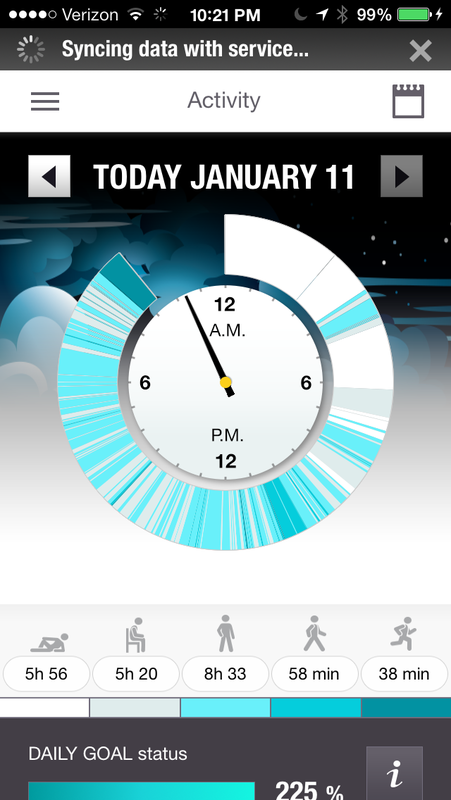 The Loop also tracks my sleep as long as I'm wearing it in bed. I don't have to press any buttons to enter into sleep mode. It detects my sleep automatically and then displays some type of "good morning" message when I press the button in the morning. If you've been sitting too long, the Loop will send a signal to your iPhone and "alert" you to get up and move. 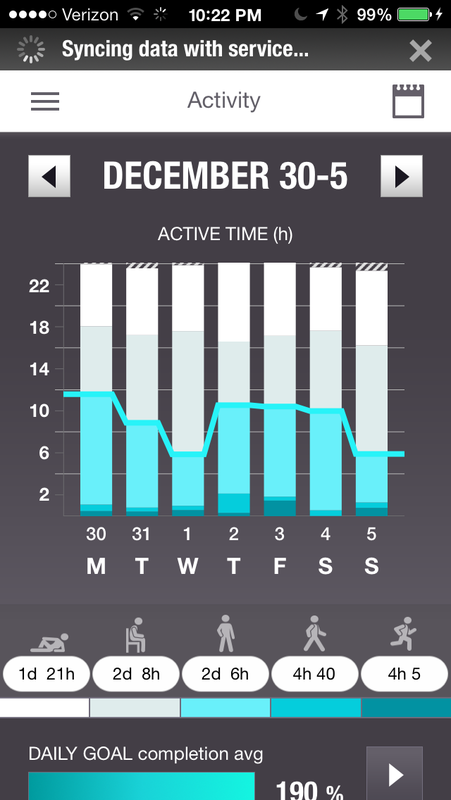 These inactivity alerts can be useful for people who have a desk job and sit all day. Get into the habit of taking some breaks to drink some water or to walk around the office. Provides daily, weekly and monthly views of activity at the different levels of intensity through Polar Flow on desktop or mobile. These include useful guidance on how to become healthier, look and feel better, sharpen mental alertness and reduce long-term risks of lifestyle diseases such as heart disease and cancer. Polar Loop accurately measures all physical activity and compares it with globally recognized physical activity guidelines from the World Health Organization. 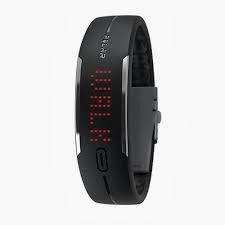 If you like to monitor your heart rate when you exercise, the Polar Loop is an excellent daily activity tracker that will keep you moving when you're not actively exercising. When I exercise, I almost always wear a heart rate monitoring strap so that I can quantify my fitness level and my exercise intensity. Having that information helps me know if I'm overtraining or undertraining. So, whether you're exercising to stay fit or you're training for a race, monitoring your heart rate during exercise can improve the effectiveness of your workout. Waterproof for swimming (The vast majority of other wearable activity trackers are only water resistant for showering and not recommended for swimming). Connects with Bluetooth Smart heart rate monitor chest straps (for safely exercising and training based on your heart rate "zones"). Comfortable wrist strap that minimally interferes with typing because of the low profile and the watch-type buckle and feel. Sizing adjustments in 5 mm increments. Upload your activity data and connect with a global community of users on Polar Flow. Currently only syncs with newer iOS devices (Bluetooth 4.0) and lacks Android support (but Polar will be coming out with an Android app for mobile devices that have Bluetooth 4.0). The capacitive button only works if the charging connector (on the underside) is touching your skin. 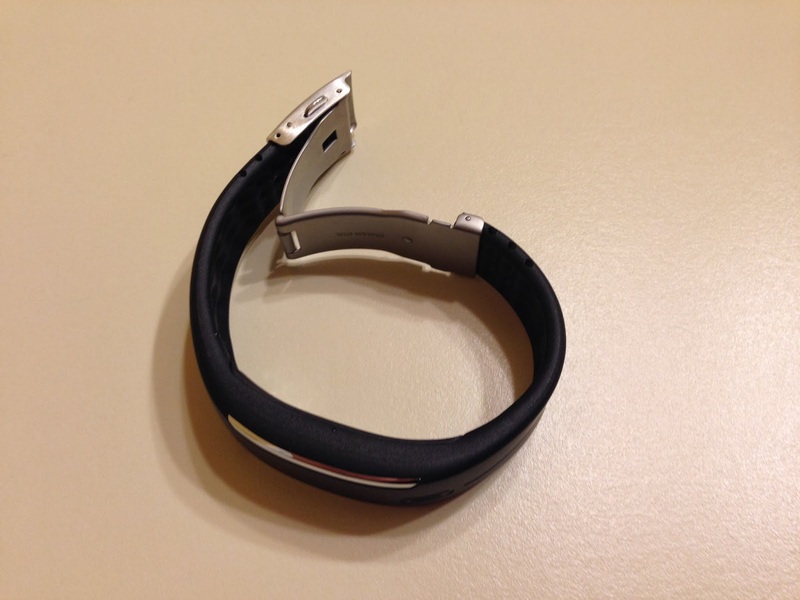 If your Loop is too loose on your wrist, then this could be a problem for you. I rarely experienced a non-responsive button. You must cut the wristband to adjust the size. This will make it more difficult for you to sell your Loop when it comes time to upgrade or replace it. Summary: The waterproof Polar Loop combined with a chest-worn heart rate monitor (like the Polar H7) provides an excellent platform for daily activity tracking and exercising based on your heart rate goals. 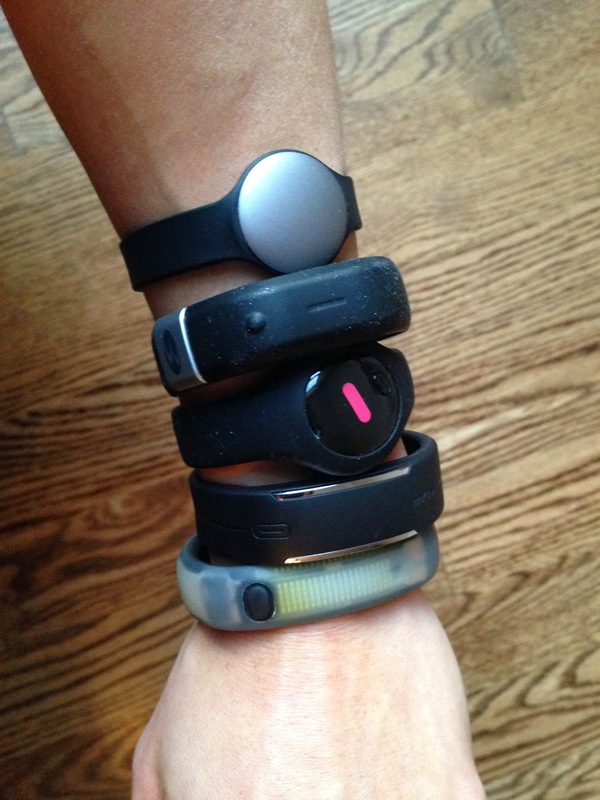 I'm a big fan of wearable activity trackers because I believe they can really make a difference it the overall health of an individual. 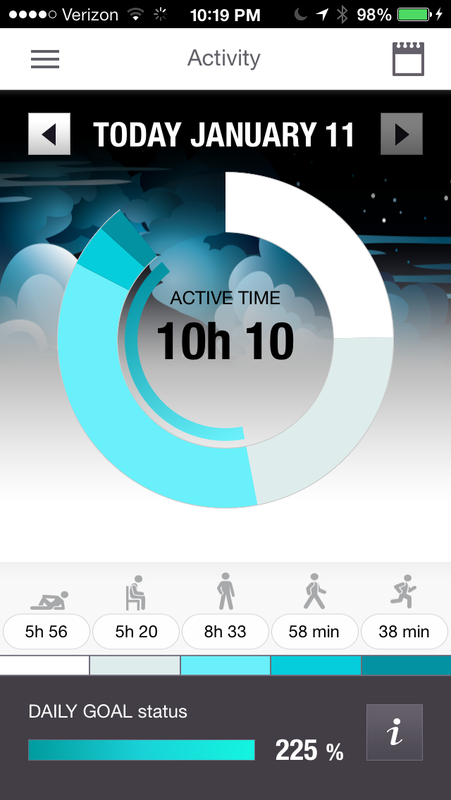 If these gadgets are used continuously for several weeks and people share their activity progress with others, they are highly effective in helping people change their habits to be more physically active.